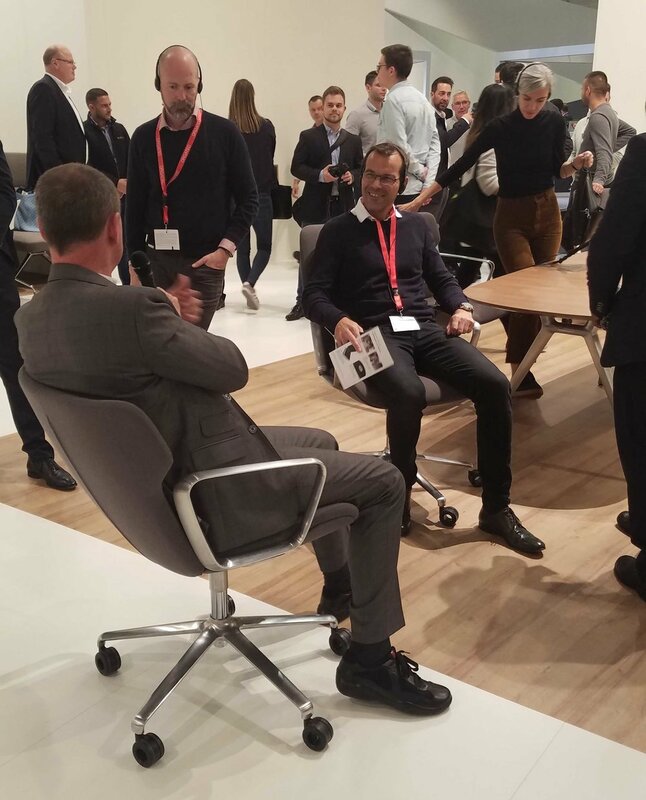 Nicole Tabata, AIA, shares her experience visiting ORGATEC 2018, one of the largest international trade fairs for workplace design, located in Cologne, Germany. 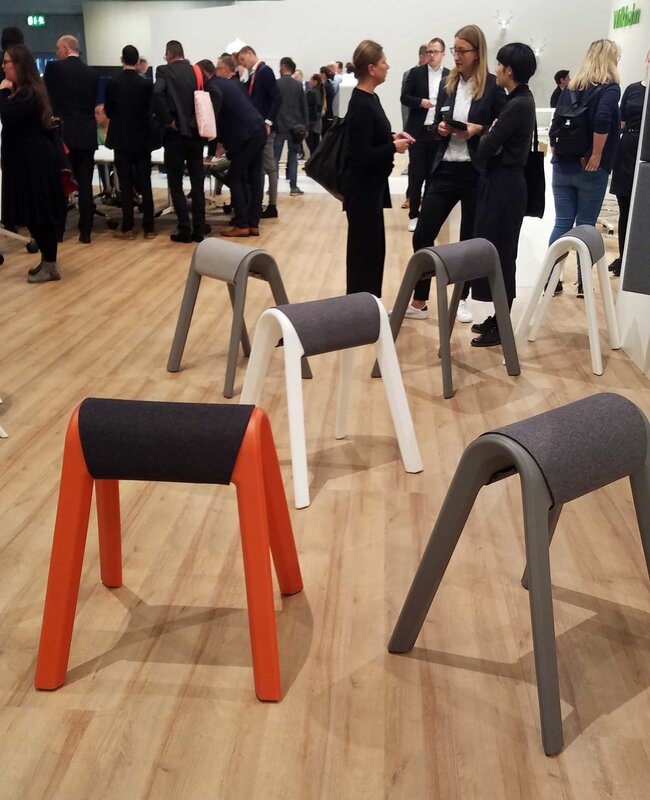 This year’s theme was Culture@Work, and furniture manufacturers from around the world presented their latest products geared toward promoting a healthy, comfortable, and creative workplace culture. 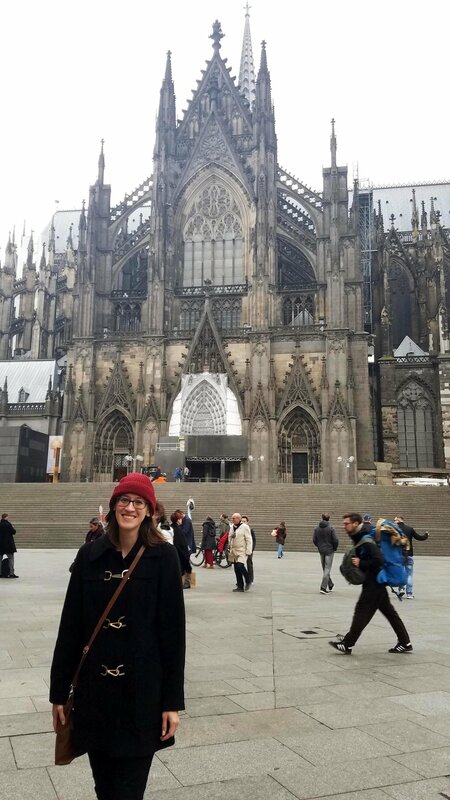 I noticed some repeating themes of flexible workspaces, acoustic performance, bright colors, and playful shapes. The exhibits seemed to stretch on for miles! 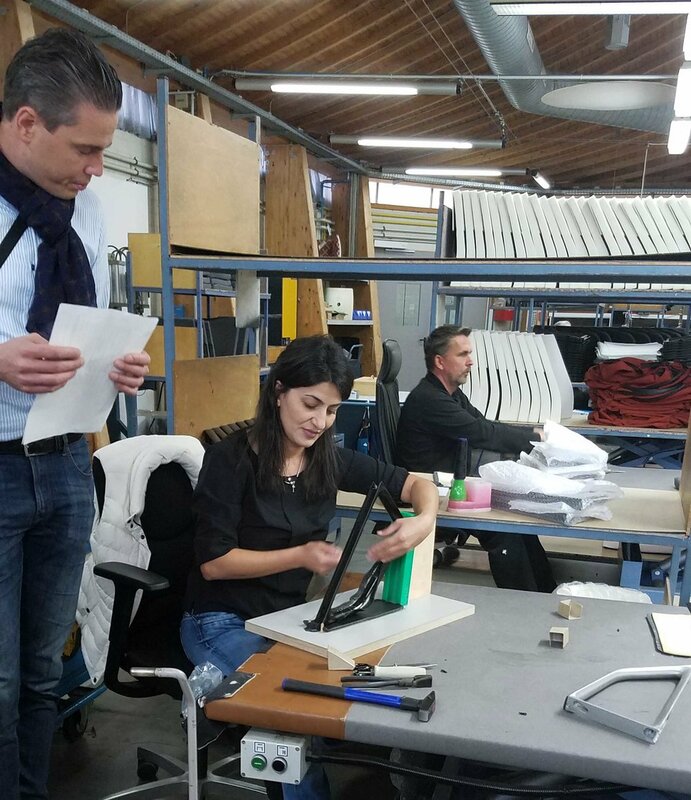 I travelled with Wilkhahn and a small group of designers from around the world – including Chicago, New York, Dubai, Zurich, and Kuwait. In addition to ORGATEC, we visited Wilkhahn’s factory in Bad Münder, Germany. 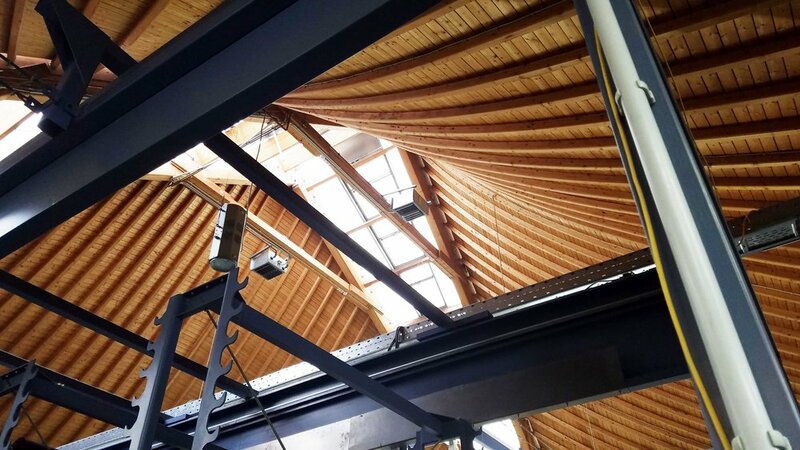 I was surprised to find that the factory itself is comprised of buildings by famous architects – a series of incredible tent-like wood structures by Frei Otto, and a large daylight-filled building by Thomas Herzog. 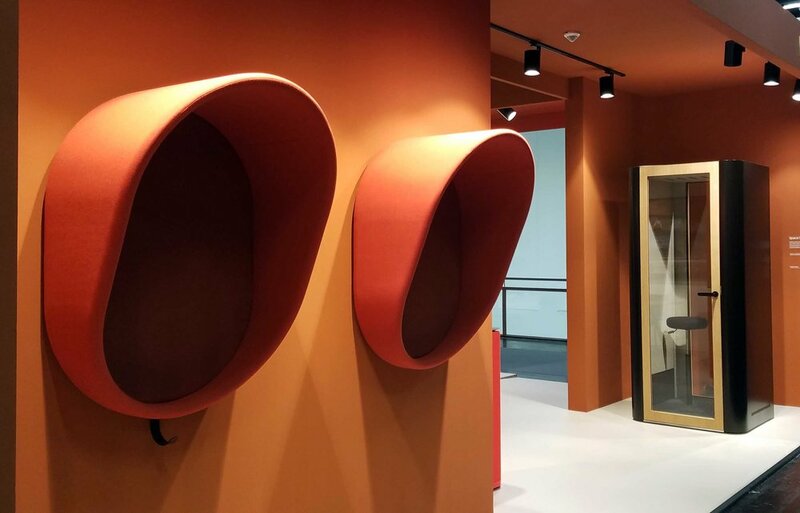 The buildings themselves reflect Wilkhahn’s focus on quality design. 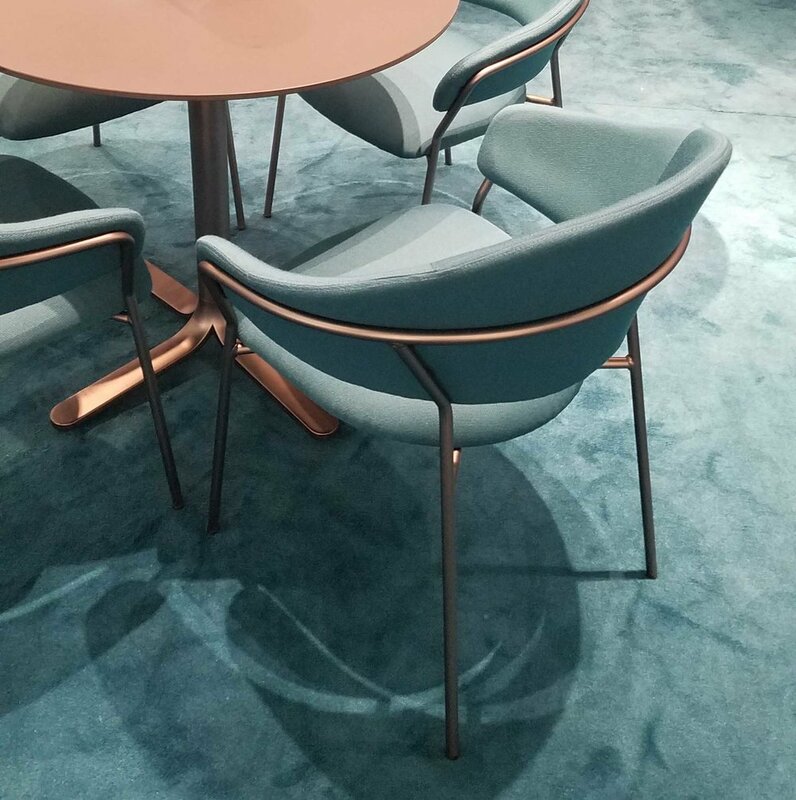 We were able to see their process of creating chairs and tables from start to finish, everything from hand-stitching leather shapes to forming curved veneer surfaces. “Vielen Dank” to Wilkhahn. 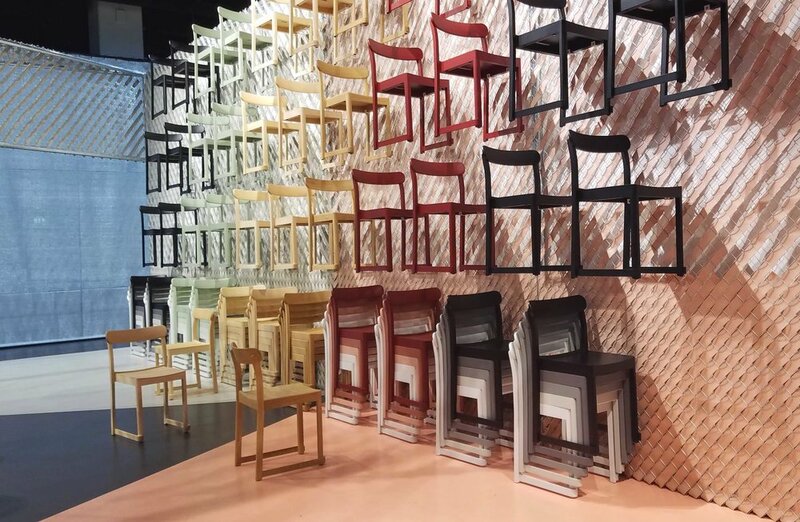 I loved getting to know this group of designers from around the world and experiencing the newest trends in European design.